Check out this Black Forest Decor exclusive! 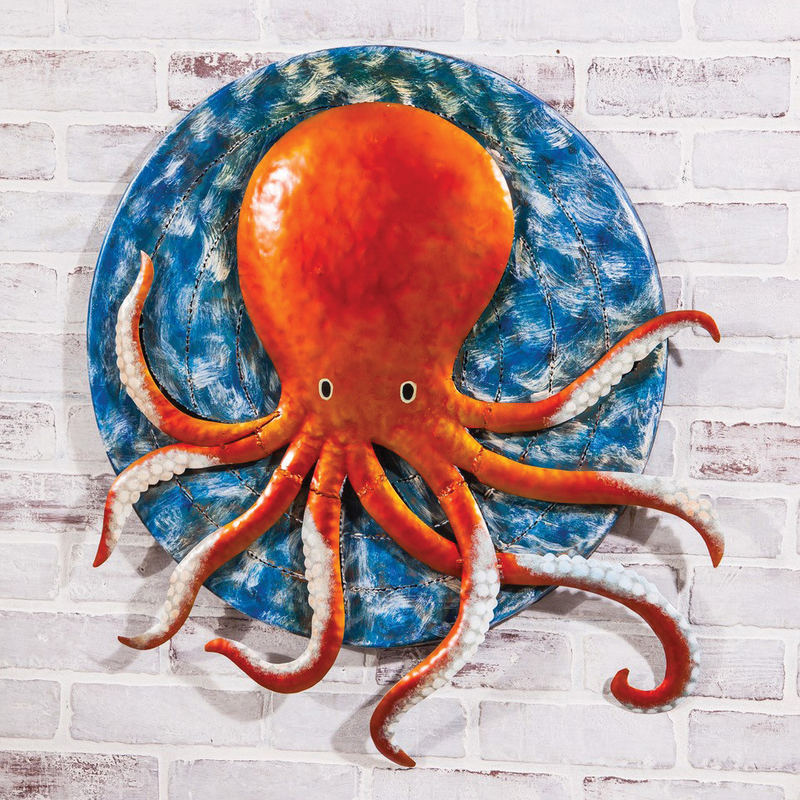 Handcrafted metal wall decor with a dimensional orange octopus. This beach wall art measures 26 1/4"W x 2 3/4"D x 27 1/2"H.
For even more offerings, we ask you to spend some time to check out our whole array of beach wall art at Bella Coastal Decor now.